Good morning world. Lets talk about the water lilies and the Lotus of life. And that's another good theme of mine. Because, still thinking just a little bit more about summertime, even as fall has just started calling.... things have been rearranging. So with things rearranging, while looking out my window at the pond and lake behind us, I love seeing the waters beauty changing everyday! And one of the things I really love looking at are the flowers floating on the water reaching their brilliant heads up to the sun in their play. Yes, that summertime picture makes me happy in every way. But Wait. Knowing that their days in the sun will soon be done.... since the summertime picture outside my window pane is barely lingering on, that end of the season has always brought me peaceful memories, yet some distraught thoughts . So, knowing that happy and sad conflict to be true, I thought I would share my end of the season thoughts with you, about the Water Lilies and the lotus blossoms.... that are still floating on top of the lakes and ponds. And making that changing statement a reality…. I thought I would likewise ask you what do you think about…. when I say the Water Lily and Lotus of Life? Next asking you that pretty, sweet, relaxing, peaceful, seasonal question, let’s think less about the flowers dying at the end of summertime, and lets chat more about how flowers that empower our life's. Saying that as the summer roses grow, and the Water Lilies and the Lotus are still blooming soft and slow…. in their short life....for some of us it’s still summer time. But Wait! For some others who are also answering the seasons call.... its fall. Oh who really knows over all. Because as the confused seasons are clashing into each other bringing the trees to their knees. In the resulting storms between the warm and cold breezes both conflicted seasons are refusing to leave! Therefore behind the seasons swinging door today I thought I would switch things up again, as I share my thoughts about the flowers trapped in their seasonal confusion that are still trying to live. That means, still looking at the things that remind us of summertime that refuse to leave, while trying to go into a fall that is softly calling….over all, the one thing we still have to be thinking about is the end and beginning of everything! Because at the end of yet another season.... no matter where you are or what has happened to you Everybody will soon be missing the nice Peace of Sweet summertime! So still looking longingly at the summer fall transition everything we are thinking about will Eternally have to do with things living and dying. Therefore opening and closing many doors, since starts and stops of all kinds are still on our minds…. I thought I would talk about something that is very special to me that I am still seeing floating on the Water of Life! That means, to calm our minds, and enhance our time together, let’s talk about the pretty, sweet flowers called the Water Lily and Lotus that actually define life! Bottom line. As things are living and dying, I thought I would talk about the flowers that celebrate summer and hug fall, that sweetly take their name from water in their seasonal call. And, since I'm reminded every day how beautiful water is, especially during the fall and last of summertime, I am still enjoying looking at the beautiful, delightful, transitional flowers bouncing around in their blues, reds, pinks, purples, and yellows that are all divine. Yes indeed, I love thinking about these very special beautiful flower friends of mine, that are hourly floating around on their green clouds who have been very important to me, since childhood's time. So, since I have always loved the Water Lily also the Lotus blossom…. I thought I would share my thoughts on these special flowers today. Saying that I am particularly moved by how the water Lily, and the Lotus start to bloom deep down in the water where it's dark and grey. That means, unlike other flower friends of mine who bloom in the light of day and also fade away, the Water Lily and the Lotus actually bloom underneath the waves found in ponds and lakes. And then looking like a flame’s spark lighting up the gloom of the dark.... I additionally love how their flowering buds push up through the waves, and rise through the water every day…. So once more as we are all seeking the light.....while thinking about darkness and light….as I am watching the Water Lilies and the Lotus grow… that has again reminded me of your soul. Because as the flowers search for life, I like the fact that they all reach up so strong, tall, also high into the next days sunshine, while looking for the promise in the Heavenly sky! And lost in the darkness of the water, as the flowers push their heads up trying to get to the sun…. I also love that reminds me of the day when the bud comes up. Therefore thinking of things less from an Earthly point of view and more from a Heavenly one too…. that picture of life...… as the flowers are living and dying..... has likewise reminded me of another Eternal day yet to come. Yes indeed the Water Lily and the Lotus of life.... have again reminded me that lost in the darkness of the floods, pain, tornados, fires, heart breaks, and hurricanes, since we are all living and dying….if at the end of time.....we are to Survive demising.....we must find the EVERLASTING light. That means, one by one, since we are all trying to find…. the Reason for the Seasons… thinking about things that make us great we need to remember coming out of the darkness found in life there will Eternally be a way to Survive Satan's tornados, hurricanes, and Pain. That's why at the end of life leading to the beginning in Heavenly Paradise.....you have to know to Survive Hells fire that we are each a pretty, sweet Water Lily…or Lotus in life .. rising up to the Eternal Bright light nourished by the Son.... called Jesus Christ!" 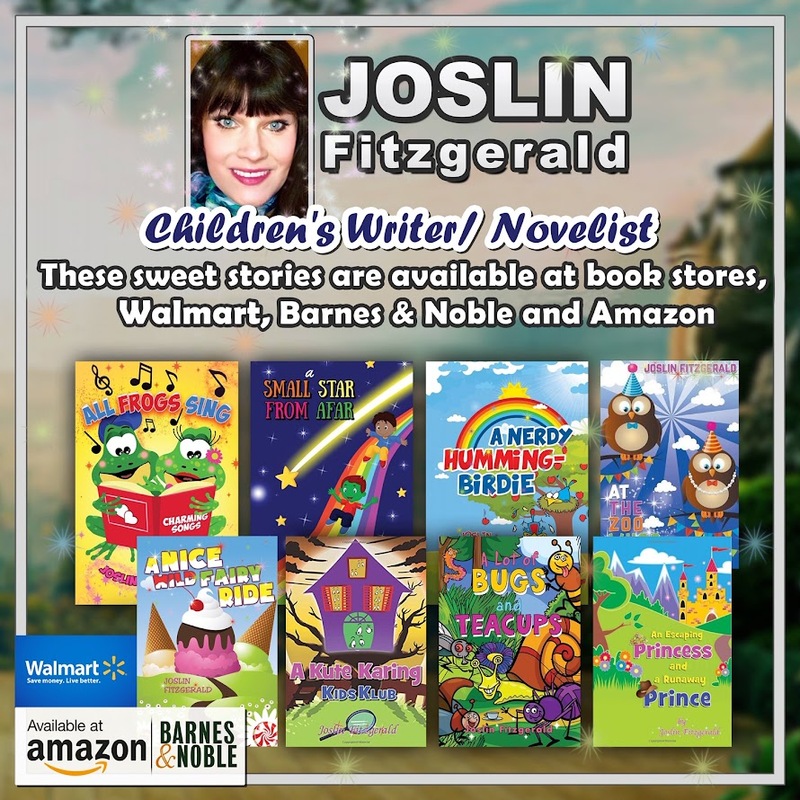 Joslin Fitzgerald.